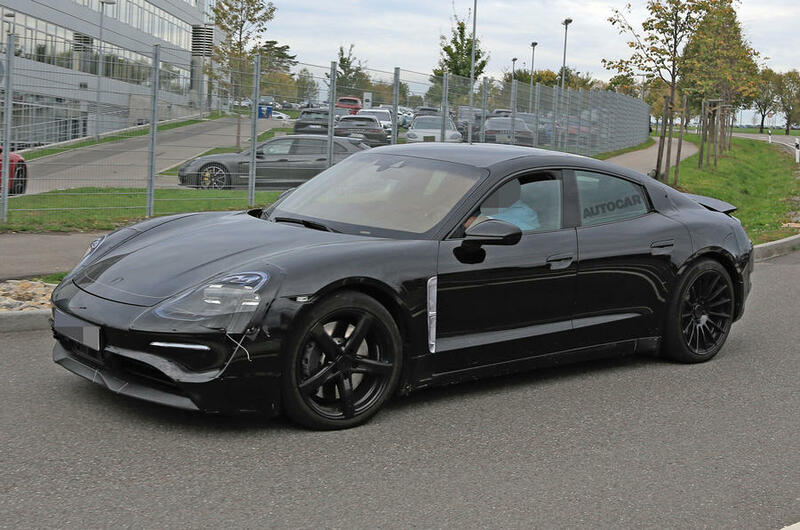 The all-electric Porsche Mission E, set to be released in 2019, has looked like some of the strongest potential competition to the Tesla Model S since being announced in concept form back in 2015. Now it’s finally completed an important ceremonial step in the world of cars: moving from pretty, computer-generated renderings to spy shots of it driving around on actual roads. We’ve known some vague benchmark statistics about the Mission E since it was announced, but they’ve been congealing ever since. The car’s batteries, which are reportedly being made by Hitachi, will bestow the car with something around 310–330 miles of range. When that drains, they can supposedly be charged 80 percent in just 15 minutes. Porsche’s electric flagship will also get over-the-air updates, much like Teslas do, and will have a certain amount of autonomous features. But don’t expect this car to do all the driving for you. “There are situations in traffic jams where you will be able to read a newspaper, but our customers take pleasure from driving and this will remain,” Blume told Autocar. Porsche is part of the Volkswagen Group, and like many of its corporate brethren, it was caught up in the massive emissions cheating scandal that broke in 2015. The company even recalled 22,000 of its diesel SUVs this summer for containing the so-called “defeat devices” that were used to skirt emissions tests. And as countries and other automakers increasingly push toward electric vehicles, the pressure is on to take as big a foothold in that section of the market. For both Porsche and fans of electric vehicles, the Mission E can’t come soon enough.